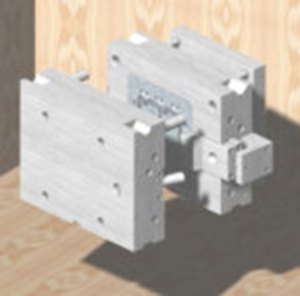 A unit die is a cost saving tool that has a standardized main die frame and replaceable cavity units. These replaceable units are designed to be removed from the main die frame without removing the standard frame from the die casting machine. The most common commercial types of unit dies are single and double unit holders. These types of dies are generally used for smaller parts, or a family of parts, with no slides or a minimum number of slides. 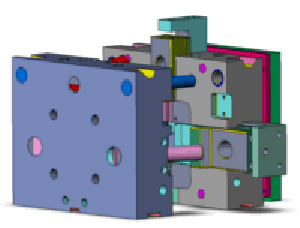 R&S Design will provide you with a complete unit die design. Unit dies are typically designed in the following sizes: 10×12, 12×15, and 15×18 inches, standard or heavy duty. For more information, or to find out how we can help you with your Unit Die Design, please contact us. 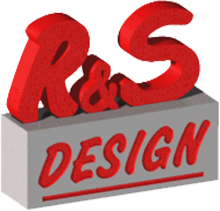 R&S Design combines state of the art CAD/CAM software and hardware with experience, precision workmanship and an unsurpassed commitment to client satisfaction. Our CAD and 3D Printing services can develop and print a durable prototype in just days. We also offer laser engraving for most durable materials.